You will make a mini quilt or pillow cover that is between 12 and 36 inches. It can be square, rectangular, hexagon, be creative! The only other colors allowed in your mini are neutrals- black, white, gray or brown. Try to use only one of these. The colors in your scheme do NOT need to be used in equal amounts (for example, if you have a purple triadic scheme, your quilt could be purple and orange with just a hint of green). The mini quilt/pillow cover should be made entirely by you. Make something you'll enjoy because it's yours to keep! You can choose any pattern you would like. Try something new and challenge yourself in two ways! You can use pink if red is one of your colors, because pink is a tint of red, but you cannot substitute red orange or burgundy (red violet). You can use navy blue if blue is one of your colors, because navy blue is a shade of blue, but you can't substitute aqua (which is blue green). Most important rule- HAVE FUN creating and learning something! In order to help everyone with the color theory aspect, here are two really good color series that are focused on quilters: Modern Cozy's 52 weeks of color, and In Color Order's Art of Choosing. If at any point you have questions or if you missed the sign up and want to be assigned a color, please reach out to the Challenge Coordinator, Joanna Martinez. 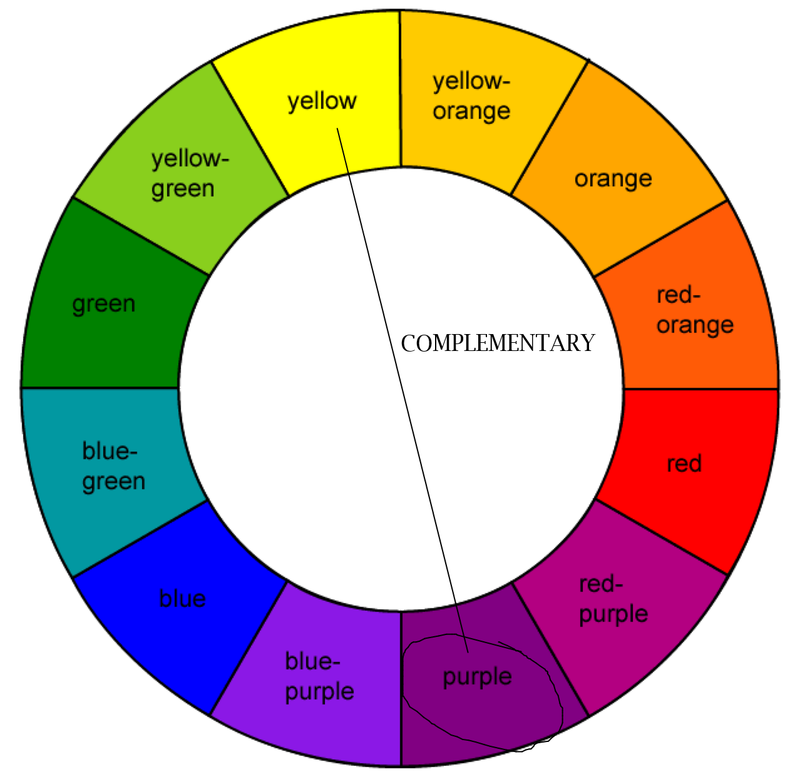 Pictured below is one example of each of the color schemes you could be assigned. The color circled in each color wheel would represent your crayon color. For this scheme, you will be using only two colors, across each other on the color wheel. For this scheme, you can use up to three colors, and you will have a choice to go to the left, right, or both sides of the crayon color. For this scheme, you will only use your crayon color, but you can choose to use as many different values of that color as you'd like. For this scheme, you also have four colors to use. For this scheme, you will use three colors in a triangle shape on the wheel. For this scheme, you will be using three colors, and can choose one of three color groupings formed by the "Y" shape.